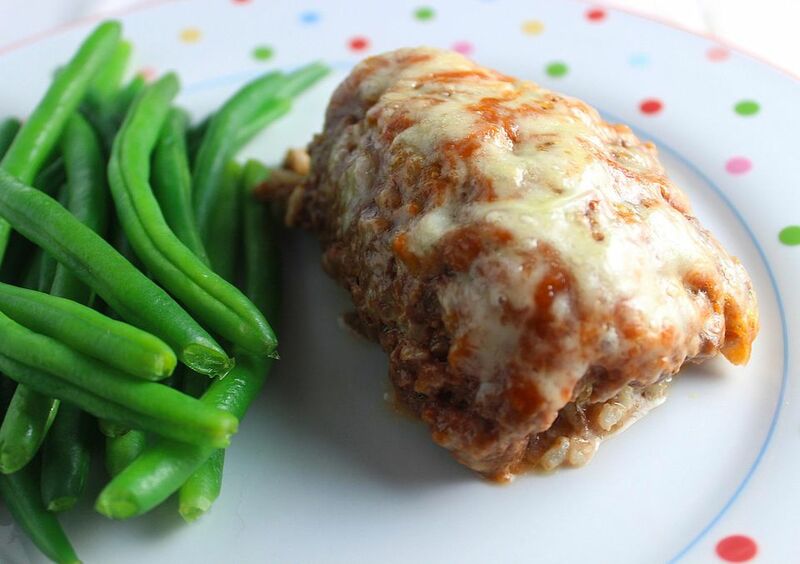 This recipe for Palpettoni is an unusual recipe; it's individual meatloaves stuffed with a creamy rice mixture, then topped with tomato sauce, some dried herbs, and cheese. It bakes until the filling is hot and the cheese is melted. You can substitute white or wild rice for the brown rice if you like. Make sure that you handle the ground beef mixture gently. If ground meat is handled too much it can be tough; that's why you are told to not work meat for hamburgers too much. Be sure to read my How to Make Palpettoni Step by Step before you begin. Serve this wonderful recipe on a cold fall night with some scalloped potatoes and a green salad tossed with mushrooms and grape tomatoes or tossed with some chopped apples and raisins. Cook the bacon until crisp in a large saucepan, then remove from the pan, drain on paper towels and crumble. Set aside. You could also use precooked bacon if you'd like; just crisp the slices in the microwave oven as directed on the package. Cook the rice as directed on package until tender and drain if necessary. You need 1-1/3 cups of cooked rice for this recipe. Set aside. In a large bowl, combine the ground beef, bacon, egg yolk, and pepper and mix gently. On waxed paper, divide the beef mixture into four 4" x 6" rectangles, patting gently to form into shape. In a small bowl, combine the cooked rice with the dip. Divide the rice mixture over the ground beef rectangles, spreading evenly. Roll up the rectangles, starting with 4" side, to enclose the rice mixture, using waxed paper to help roll (be sure to not roll the waxed paper into the meatloaves!). The beef will only roll around the rice mixture once. Carefully place the rolls in a 10" baking dish. I do this using a large spatula so the little rolls don't fall apart as they are being moved. Pour some of the tomato sauce over each roll, then top each with the marjoram and both of the cheeses. Bake at 375°F for 25 to 30 minutes or until beef is thoroughly cooked to 165°F and the little meatloaves are browned. Serve immediately.